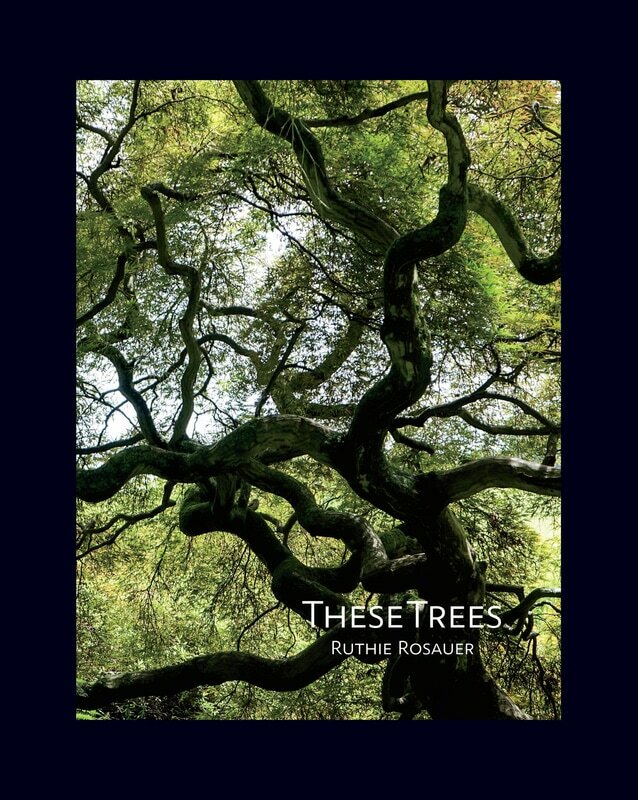 "These Trees," by Ruthie Rosauer. ​This book showcases over 130 photographs of trees. Many are paired with poems that further illuminate the photographs. Poets included in this collection are: Carol Pearce Bjorlie, Jean Cassidy, SuzAnne C. Cole, Carol V. Davis, Diane Egge, F.I. Goldhaber, Lois Marie Harrod, Duane L. Herrmann, Juleigh Howard-Hobson, Annie Lighthart, Annelinde Metzner, Barbara Quick, Robert Ratliff, Karen Schubert, Marilyn Sequoia, Kate Stockman, Carine Topal, Kenneth Weene, Sarah Brown Weitzman, Sally Zakariya. Design and art direction by Gary Perrone. ​All photographs © 2017 Ruthie Rosauer Each poet retains copyright for his or her own poem. What people have to say about "These Trees"